In this series, we will ask top experts for their retirement advice on the most common retirement questions from our readers. Every portfolio is different, but when it comes to your retirement planning, many people have the same retirement questions and make the same retirement mistakes. How do I pick my retirement date? Most people have a specific date in mind that usually coincides with a birthday; an anniversary at work (i.e., 25 years, 30 years) that coincides with them being eligible for a pension/retirement benefit; the point at which they turn 62 (and are eligible for Social Security); or the time when their portfolio hits a certain threshold (i.e., I’ll retire when I have a million bucks!). It’s different and personal for each person. There is no wrong or right answer either. Everyone’s situation is unique and different, just like his or her fingerprints. I suggest having a date in mind and doing some serious pre-planning at least five years out. People need to be financially prepared, but it’s just as important to be mentally prepared. It all depends on the kind of lifestyle you desire in retirement. The press frequently seems to think you’ll need 70 percent to 80 percent of your pre-retirement income to live comfortably in retirement. I’ve seen people spend as high as 110 percent of their pre-retirement income and some spend as low as 50 percent of their pre-retirement income. This is an area you can control. What I’ll tell you is that my happiest clients are those who have downsized and simplified their lives. This means they paid off a mortgage and all debt before retiring; they moved to a smaller house; moved to a cheaper area within the same state; moved to a new state with no income tax and less real estate taxes; downsized from an SUV to a commuter car; went from three cars to two; went from two cars to one—you get my point. We can only control so much. How much you’ll need will be dictated by your cost of living. As a general rule of thumb, people should set the goal of accumulating 20 times the annual cash flow needed at the minimum. 25 times would be better. What is the biggest mistake people make in their retirement planning? Waiting to save, not saving enough, or having too much money in their employer stock are some of the more common ones. The biggest mistake, however, are people who retire when what they really crave is a break. Most people see retirement in black and white (I work, I don’t work)—but there’s a lot of gray. I suggest people work as long as possible since their ability to earn an income is their greatest asset. Rather than retiring altogether, they should consider a phased retirement over time where they go from five days to four, to three, to two, and so on. Many people will find that having an extra day or two off per week to do what they want (controlling their own time) is just what the doctor ordered. 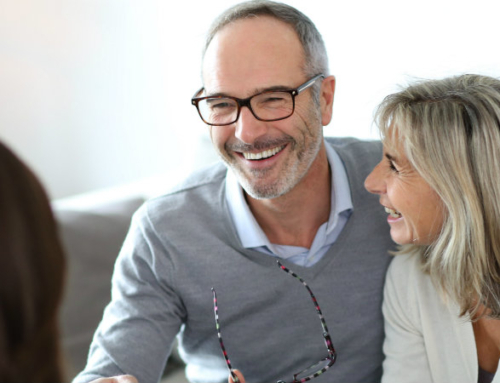 Bill Losey, CFP®, caters to women and couples (age 50-70) who seek to reduce post-retirement risk and generate a predictable, sustainable, increasing stream of retirement income they won’t outlive. As a qualified professional in the areas of retirement strategies, personal finance, and investment management, Bill has been seen and heard on hundreds of television and radio stations such as FOX News, NPR, CBS News, CNBC, Business Week, TIME, AARP, U.S. News & World Report, and Oprah & Friends.